Analysis and design in civil engineering is much dominated by the mesh-based numerical methods such as FEM. This dominance is being rivaled by the meshfree methods for problems with free surface flow, large deformation and discontinuous deformation. 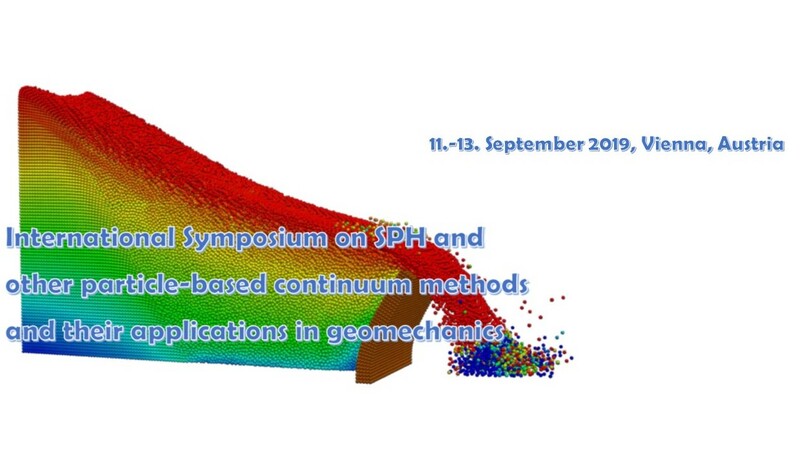 The first meshfree method is SPH (Smooth Particle Hydrodynamics. The last decades saw rapid development of numerous meshless methods, e.g. MPM (Material Particle Method), XFEM, PFEM (Particle Finite Element Method). Geomechanics with complex material behavior and problem setting offers an excellent playground for meshfree methods.